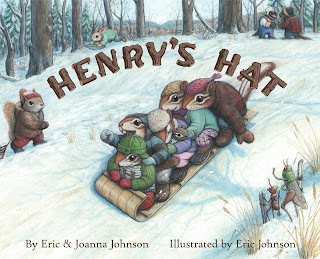 Slate Falls Press: Henry's Hat at TNNA in San Diego! Henry's Hat at TNNA in San Diego! Our new book, Henry's Hat, will be on display at the Brown Sheep Company Booth #543 at TNNA in San Diego this coming weekend! Please stop by to see the trunk show and look through the book! We will be offering a show special to retailers: if you order six or more books at the show, you will get a free signed copy of the book shipped to you with your order. Retailers may contact us directly at slatefallspress AT comcast DOT net to order signed copies of our books. And knitters across the country, please ask for our books at your favorite Local Yarn Shop! Happy New Year! Happy Knitting and Happy Reading to you all!